Design for a new auditorium for Sunderland Music, Arts And Culture Trust has been granted planning approval and funding this week. 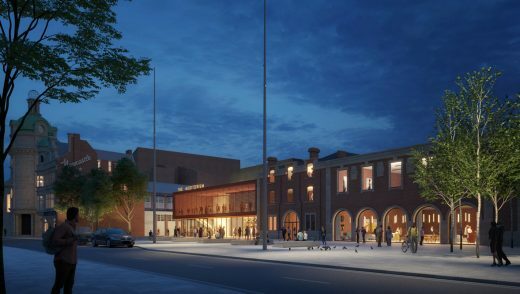 Just days after Sunderland Council granted planning permission for the new £8.2m venue, Arts Council England (ACE) has awarded a £6m grant through the National Lottery to the Sunderland Music, Arts and Culture (MAC) Trust towards the cost of the building. 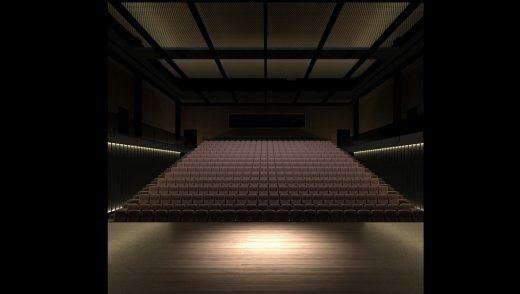 Construction work will begin later this year with the multi-use auditorium opening in 2019. The new venue will be located at the heart of the city’s Music Arts and Cultural Quarter in central Sunderland. 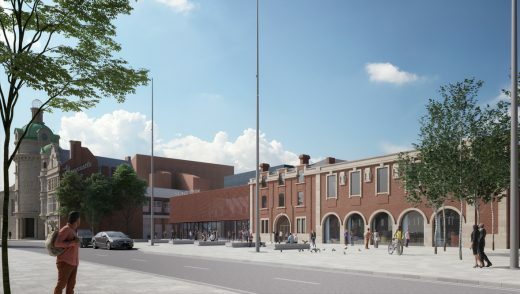 The site, at Garden Place and Dun Cow Street, is adjacent to the Fire Station, currently being redeveloped as a £3.6m arts and culture centre, with financial support from the Heritage Lottery Fund. 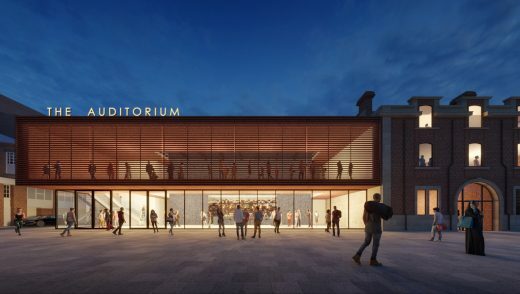 The new auditorium and the renovated Fire Station will provide an integrated centre for the performing arts that will sit next to and complement the hugely successful Sunderland Empire. While on a smaller scale than the Empire, the new venue will present an exciting programme of music, dance, drama and spoken word. Flanagan Lawrence’s design concept uses a simple and coherent language of an expressed auditorium box, with a lower level component mediating between the auditorium and the surrounding context. 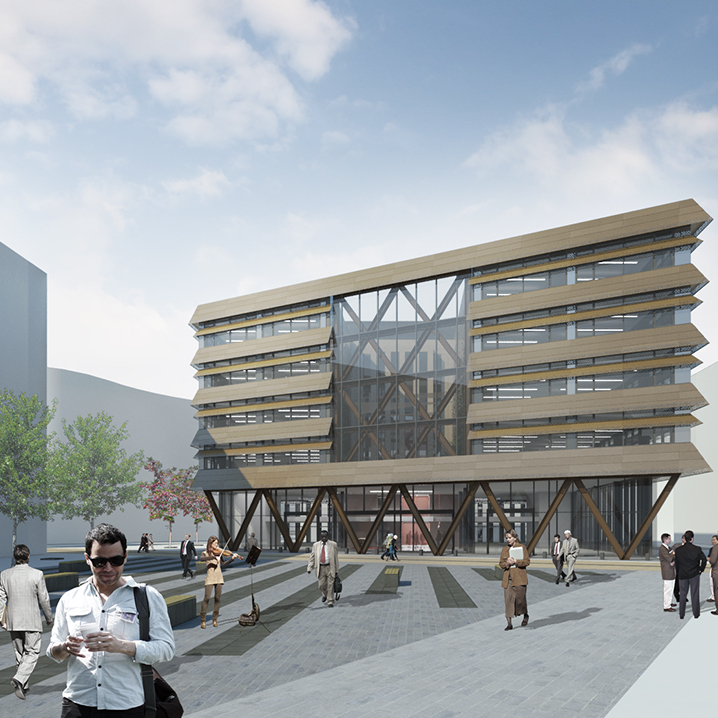 The venue will also provide enhanced public open space, creating a new destination in the heart of Sunderland. Car parking will be located to the north of the site. 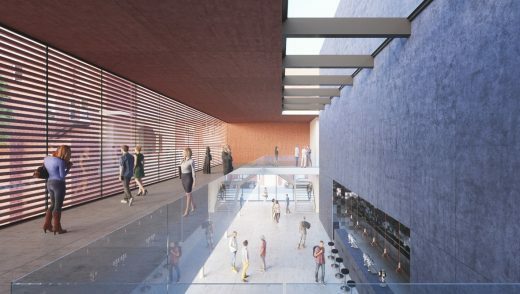 Later phases for the site may include residential or commercial development – or an extension of the music centre with further space dedicated to rehearsal, recording and music management. Adjacent offices could become start up spaces for emerging digital businesses, whilst the Courts could house a specialist Museum for Sunderland and a regional art gallery.